By now most of us have heard and probably used the term DNS before, so this explanation is only supposed to help make some things clearer and bring other less known aspects into perspective. The Domain Name System (DNS) is a hierarchical distributed database that contains resource records in the zone files within its DNS servers. A zone is a part of the DNS name space that is authoritative to answering queries of a particular namespace for the hosts contained in that namespace. As I mentioned in my previous article, I will be explaining on the most common used DNS resource records that are used in mapping domain names. At the beginning of every zone is the SOA record which identifies the start of a zone of authority. Every zone contains only one SOA record. example.com. 4 IN SOA sns.dns.icann.org. This is the DNS server authoritative for that zone. e.g. sns.dns.icann.org as above. This is the time taken by the secondary server to check if there are any changes on the primary zone. This is the time allowed for the other DNS servers to cache data. It shows how long the secondary zone should keep its records after a zone transfer. This shows how many times the records have been changed and is used by the secondary server to check if the records are changed by comparing the serial number to that of the primary server. The serial number increases every time it’s updated. The incremental change to the serial number signals a change to the secondary name servers and this initiates a zone transfer (downloading a copy of the zone information from primary server). It shows how long after sending a zone transfer request the secondary server for the zone waits for a response from the master server before retrying. An “A” record is used to map domain names to IP addresses. An “A” record maps domain names to IPV4 addresses (32 bits long), while the “AAAA” record maps domain names to IPV6 addresses (128 bits long). 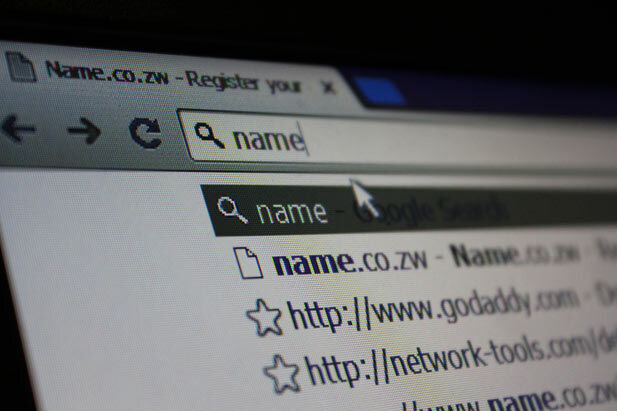 The CNAME record is used as an alias (synonymous name) to a domain name e.g www.isaacmaposa.co.zw can be an alias to isaacmaposa.com. so when a customer types in www.isaacmaposa.co.zw s/he is taken to isaacmaposa.com. So the CNAME www.isaacmaposa.co.zw can be used to direct traffic to isaacmaposa.com. A CNAME resolves to another domain which will have to resolve to an IP address. The NS records specifies the name servers responsible for answering queries of a particular DNS zone. example.com. 4 IN NS a.iana-servers.net. The MX record specifies the mail server responsible for handling the emails of a particular domain name. For example the mail server mx.isaacmaposa.com may be handling the emails for the domain isaacmaposa.com. You can have multiple mail servers for a single domain so that when one mail server is down the emails are handled by another mail server. This allows the domain owner to specify email sending policy for the purpose of eliminating forged/ fake email addresses. It is used to authenticate messages by checking if the message was not altered during transit. This is the record that is used to specify services on a domain for example File Transfer Protocol (ftp) and http services. This is the problem with egocentric people like yourself.The continent never makes progress because you destroy what others are trying to build.